The University of the South has become a charter member of American Shakespeare Center’s academic leadership consortium. The partnership will bring the company’s national tour to the university each year, and ASC will host Sewanee students and scholars at its home theater, Blackfriars Playhouse in Staunton, Virginia. On-campus workshops, covering topics from stage combat to unraveling Shakespeare’s text, will also be offered by ASC actors in residency. 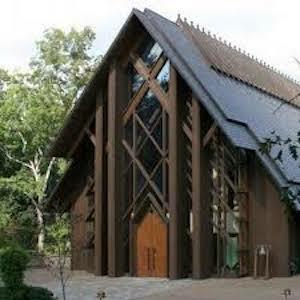 “The Leadership Consortium takes ASC’s integration of page and stage to a new level, making ASC’s unique Blackfriars Playhouse a virtual part of Sewanee’s campus and curriculum,” said Ralph Alan Cohen, ASC co-founder. The Blackfriars Playhouse was built in 2001 as the world’s only re-creation of Shakespeare’s indoor theater; the original Blackfriars Theatre burned in the 1666 Great Fire of London. 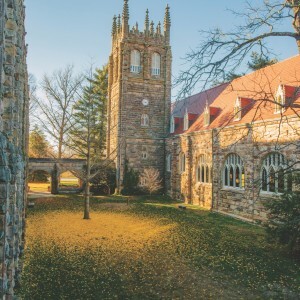 “By bringing American Shakespeare Center regularly to the Sewanee campus, we will enhance the curriculum, engage our students, bring new opportunities to faculty, and—not least—offer the campus and community memorable performances each year,” said Pamela Macfie, professor of English and the university’s liaison with ASC. “There is already in Sewanee a cadre of ASC devotees, given their lively productions of Macbeth, The Winter’s Tale, and other plays on our campus in the past two years. “Sewanee’s new relationship with ASC promises transformative opportunities for our faculty and students alike. Two students, Kate Graham, C’20 (an English major with minors in both theatre and Shakespeare studies), and Jose Hernandez, C’21 (preparing to declare majors in English and theatre), have been offered summer internships with the ASC that will translate their study of Shakespeare from the page to production, education, and outreach,” Macfie added. The consortium relationship came into being through the vision and generosity of a grateful alumna of the Sewanee School of Letters, who was inspired by her studies under Ann Jennalie Cook in the University’s graduate program in literature and creative writing. Photo: Topher Embrey in The Winter’s Tale. Photo by Marek K. Photography.